My motto when it comes to skincare is invest the time and the money because unlike your ever-changing wardrobe, your face is the only one you've got so take exceptional care of it. For me, effective moisturizers and serums need to stand the test of time. Sure, my skin may feel hydrated and fabulous immediately after application, but what about in two hours, four hours, at the end of the day? Skincare products worthy of the label "holy grail" instill time release technology that continuously moisturize, protect, and heal the skin throughout the day. la prairie, the breakthrough Swiss luxury skincare line sent me two of their newest and most innovative products to try out. The Cellular Swiss Ice Crystal Cream and the Cellular Swiss Ice Crystal Dry Oil utilizes the power of biotechnology and plant stem cells to protect the skin against skin-aging stress and rebuild the skin's moisture barrier to prevent moisture loss and loss of firmness. I'm a big fan of the brand as I live for the indulgent facials at the la prairie spa at Hotel Bel-Air so I was super excited to try both products. I tested the potency of the la prairie cream and dry oil by applying them to the left side of my face and using my regular moisturizer and serum on the right side. For optimal effectiveness, I mixed three drops of the dry oil into the cream and dabbed the formula on my cheeks and under-eye area. The cream felt like whipped velvet-light, smooth, and a little fluffy and was instantly absorbed into my skin. At first, the left side felt slightly oilier but the oiliness dissipated within a few minutes. 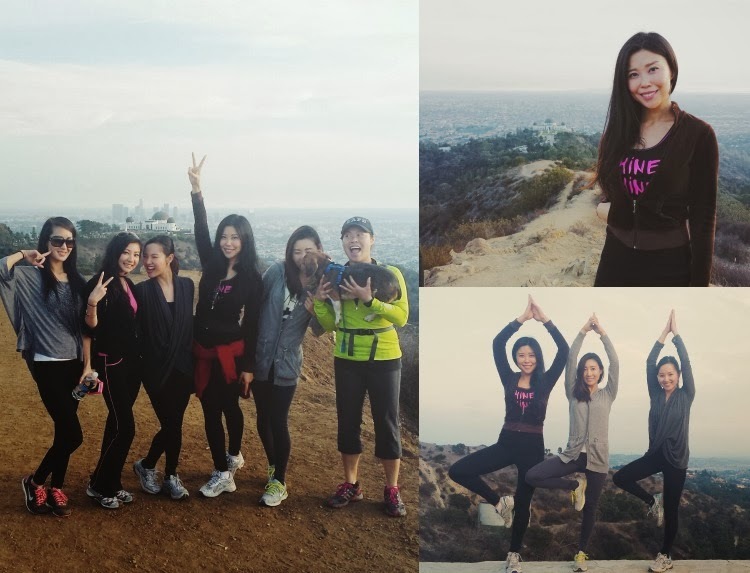 I then went about my dry, cold, but fun LA Sunday. First, I did some shopping or what I like to euphemistically refer to as "market research." Then, I went my friend's house for some girl chit chat before heading off to Griffith Park for an afternoon hike with more girlfriends. We were the loudest people in the park and enjoyed every moment of it. 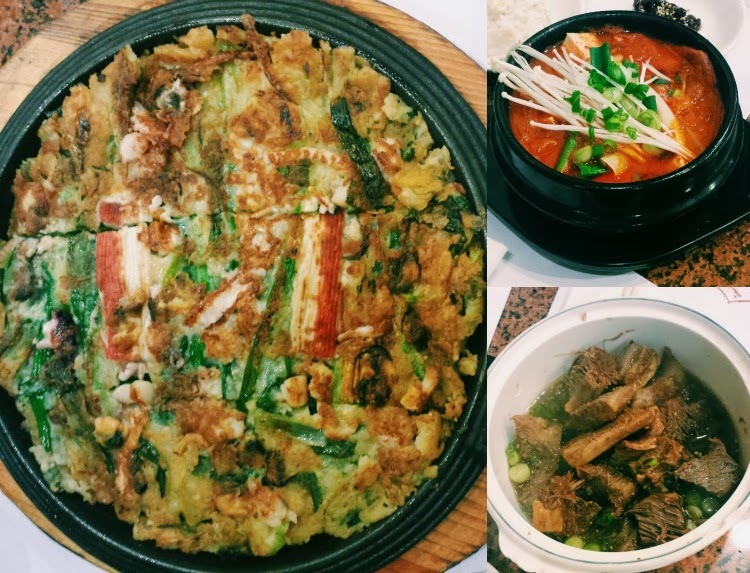 After building up an appetite, we headed to Seoungbukdong, one of my favorite home style cooking restaurants in K-town for some kimchi jijae, galbi jjim and pajeon. When I got home, I was ready to collapse in front of the couch and catch up on The Simpsons but first I looked in the mirror. The left side of my face looked a bit dewier and brighter than the right side. Upon touch, the left side felt more hydrated and firm. When I smiled, the smile lines under the left side of my face were minimal. I was impressed and a bit in shock as I couldn't believe the difference I was seeing after just one application. I'm going to continue using both products to gauge long-term results. If the benefits have staying power, I will happily invest in the $300 per product price tag to take care of the only face I'll ever have! "Miles high in the Swiss Alps, in a world of sheer ice crystals, beauty transcends time. Here, two seemingly fragile plants and one tiny algae survive and thrive in the harshest setting on earth, developing strategies to outwit the environment. 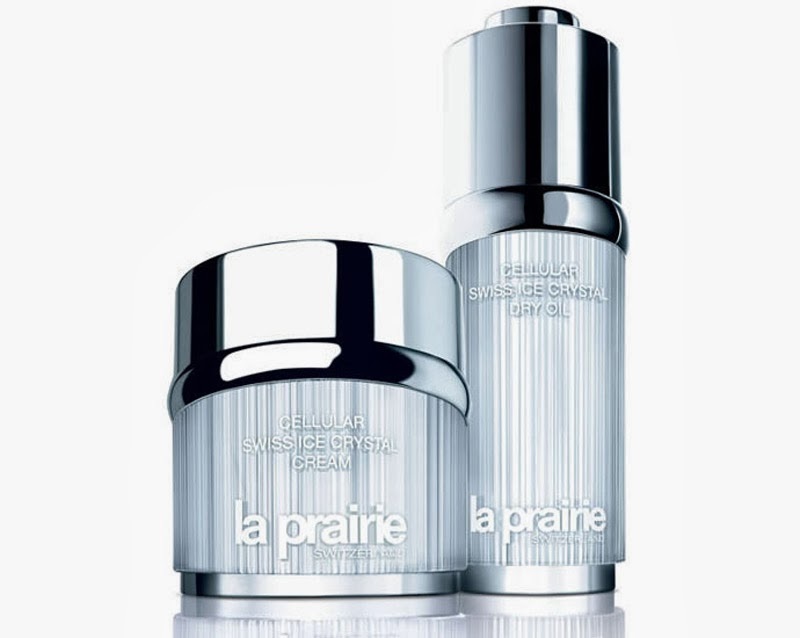 It's only fitting the that la prairie, with a heritage deeply rooted in Switzerland, harnessed these extreme-survivalist secrets into the Cellular Swiss Ice Crystal Collection. The discovery combines some of the most sophisticated survivalist secrets."